There is a one room flat for sale in the VII. district. It is 36 square meter + 6 square meter gallery belongs to it. The flat is in avarage condition, it need only a painting. It is so quiet and bright at lunch time. The room is so airy it is 20 square meter. The common cost is low. The public transoprtation is excelent. 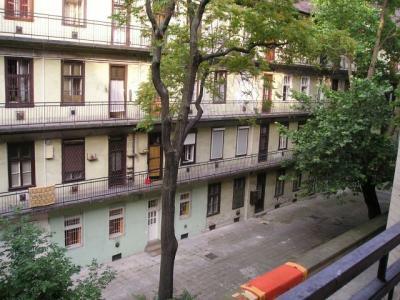 The trolley-buses stop 2 minutes far in Garay utca. Here stop the 76 and 78 trolley-bus. The Keleti pályaudvar (railway station) is also 5 minutes far. For example here stop the 7, 173, 178,178A,5; 30 buses, the 79 and 80 trolley buses and the metro line 2.